Here’s some good news, then. 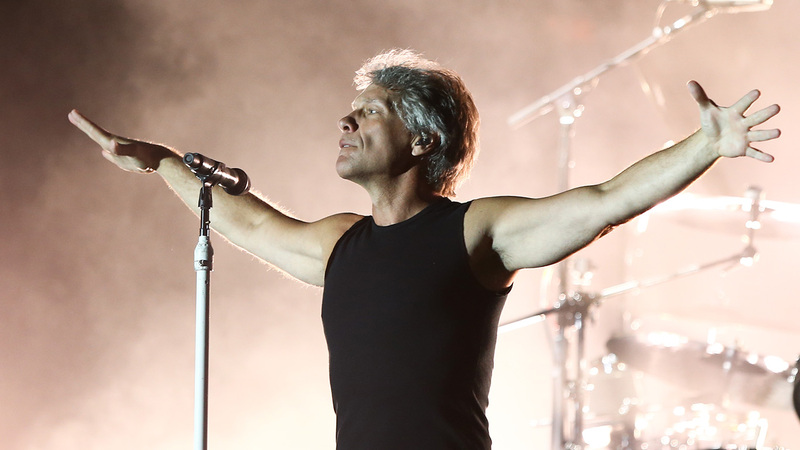 As rock icon Jon Bon Jovi – he of Livin’ On A Prayer fame – has announced he is preparing to head to sea with Norwegian Cruise Line for his ‘Runaway to Paradise’ cruise. Norwegian Jade will host a Caribbean cruise, sailing from Miami to Nassau, Bahamas on 12-16 April, while Norwegian Pearl will host the Mediterranean cruise from Barcelona to Palma, Majorca on 26-30 August. Lucky guests will get to witness two exclusive performances from Bon Jovi; one a full-blown rock show on the pool deck and the other a more sedate acoustic set where fans can ask the man himself all their pressing questions. Plus, there’s the opportunity to watch shows from supporting artists (still to be announced), listen in on panels hosting by key figures from the band’s history, get up-close-and-personal with historic Bon Jovi memorabilia and shop for some new looks in the Heart N Dagger pop-up shop. All guests will take home an autographed event lithograph, and fans who book in the first 400 staterooms on each cruise will get an opportunity to take a picture with Jon Bon Jovi. “Ever since we started Runaway Tours, it’s given me such joy to entertain the fans and tell them the stories of where my songs came from. What I’ve realized after all these years is that they’ve found not only my stories, but their own,” said Jon Bon Jovi. “Hundreds of people have gotten together every time we take off for a destination, and long-lasting friendships are born. Andy Stuart, president and chief executive officer of Norwegian Cruise Line, added: “We are beyond excited to host Runaway to Paradise aboard Norwegian Jade and Pearl. “Hosting an international rock and roll sensation like Jon Bon Jovi is a testament of our commitment to offer world-class entertainment for all who sail with us.